I bought a smart watch (MS1020). I would like to set the date and time but I do not have a smartphone or an android device on which to install the associated app (Yoho Sport). Is there a way to set the clock of my smart watch using my Windows 10 computer? I was able to pair the watch with my laptop. 1. Using an emulator. 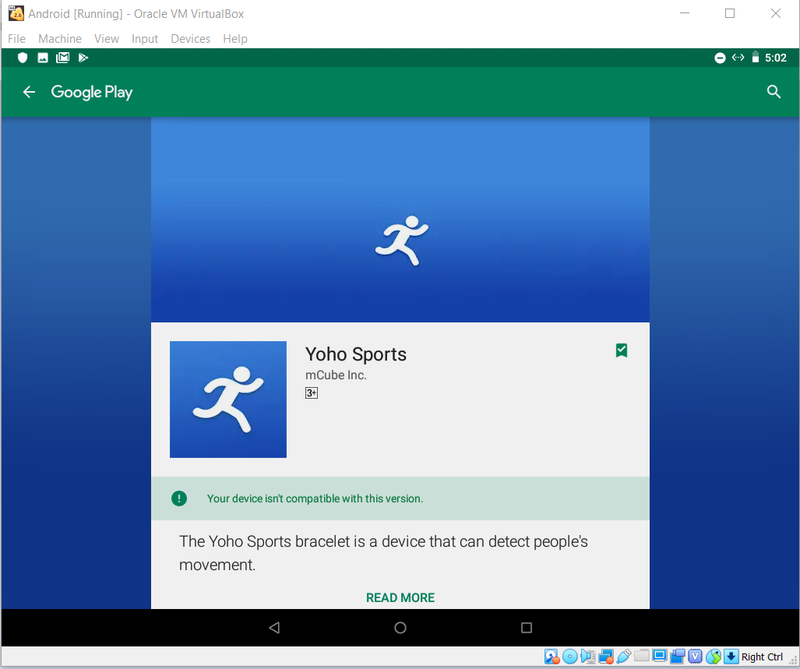 I installed Nox and used it to install the Yoho Sport app on my virtual Android. However I later read on this Stack Overflow post that android emulators do not have bluetooth capabilities so... That was the end of that! 2. Using pygatt. I installed pygatt, but I suspect that I need a USB adapter to use the Bluegiga backend. I posted a question about his on Stack Overflow. 3. 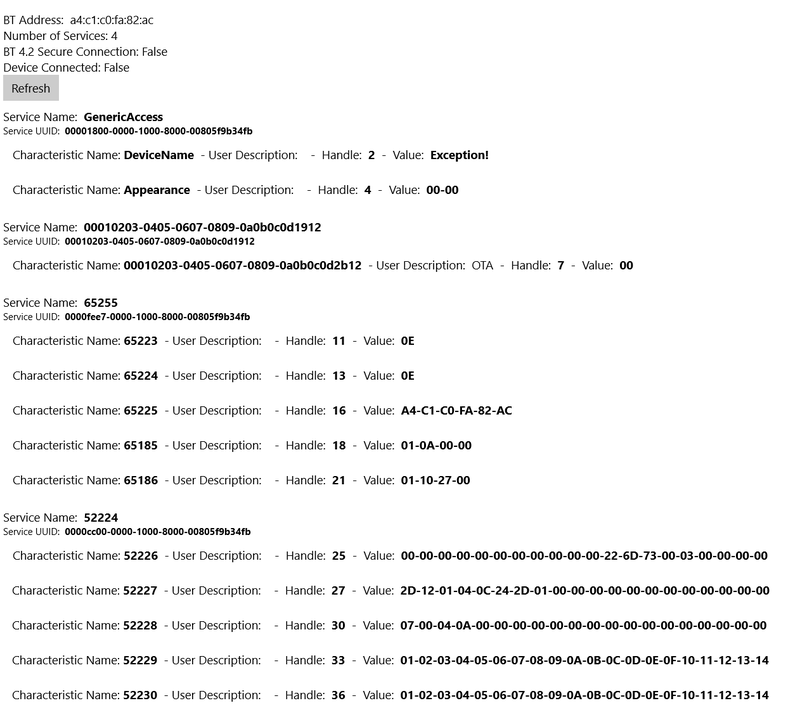 Using Windows BLE explorer. I installed Windows BLE explorer. I was able to connect to my device (see screenshot below) but I do not know how to identify the service associated with clock synchronization and how to access it. 4. [EDIT] Using VirtualBox to emulate Android. This was suggested by SeanJ (see answers below). I was able to install a 64 bits Android on my computer using VirtualBox following SeanJ's instructions. Unfortunately, I ran into two issues. 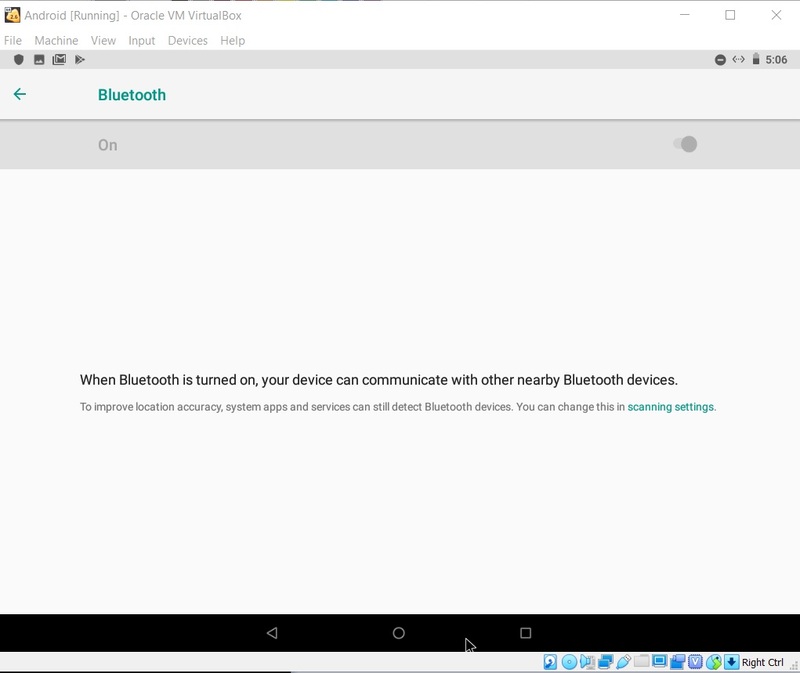 Use VirtualBox, you can install android and it supports bluetooth. Not the answer you were looking for but you can borrow a friends phone if setting the date and time just one time thing. Make them install the app, connect to your watch , then make them uninstall the app and forget your device from the bluetooth list. Not the answer you're looking for? Browse other questions tagged bluetooth-low-energy smart-watches or ask your own question. How can I aggregate QS data from different sources on one and unique dashboard?